Lights, Camera, Action… Introducing Make-a-Movie! We are absolutely thrilled to announce the launch of Make-a-Movie, the newest addition to our suite of creation tools. 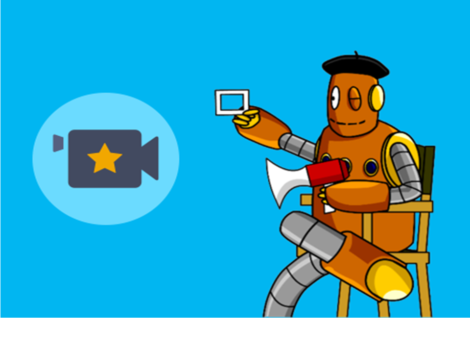 Make-a-Movie empowers teachers and students to make their own BrainPOP-style movies, building scenes with images from our library or their own drawings. Moviemakers can then record narration, manipulate backgrounds, add cool transitions, and begin with a letter the way BrainPOP movies do. Available to subscribers using My BrainPOP, our Make-a-Movie tool cultivates planning, organizing, writing, collaborating, and analyzing skills. Students take ownership of their learning as they engage with curricular content on a deeper level and demonstrate their comprehension of a given topic. You’ll find a breadth of educator resources right here on BrainPOP Educators. We’ve put together a handy step guide and screencast, as well as best practices for using Make-a-Movie to differentiate and teach ELLs; letter writing strategies; implementation and storyboarding tips; and cross-curricular connections. We can’t wait to hear your thoughts on the new tool and all the things you’re doing with it in class. Email makeamovie@brainpop.com or tweet us @brainpop with the hashtag #makeamovie.